We design our home care service programs to work around your schedule and meet the client's unique needs giving everyone peace of mind. Let us help you enjoy life. Assist clients who need care and supervision in doing basic and instrumental activities of daily living. Provide the family caregivers for temporary relief from their care giving responsibilities. 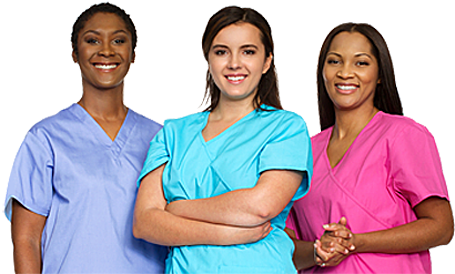 Provide client who require overnight care with undivided attention and assistance while admitted to a hospital or facility. Around the clock assistance for long term care client. A caregiver is always watching over your loved one, offering emotional support, reducing risk of fall and assisting in activities of daily living. Assist client with bedtime preparation and bathroom visit throughout the night. Professional, skilled home care service help client recovers from illness, injury, or surgery in the privacy and comfort of their own homes. Assist in scouring for alternative community living options. Gathering all facts such as cost, location, size, safety, staff qualification, activities, food service and overall atmosphere. What makes Friendly Care your BEST choice? Friendly Care is one of the leading providers of senior care and live-in assistance services in the San Francisco Greater Bay Area -- covering San Francisco, South Bay, East Bay, Peninsula, and North Bay. Friendly Care is funded by care expert, caregivers and families that share a common goals of providing an exceptional care. We work hand in hand with our client's families to provide personal care for their love ones. We carefully tailor care programs to fit on our client's unique needs. Are you looking for care giving jobs? It takes less than 5 minutes to fill out our application. We are hiring Part-Time, Full-Time and Live-in Staff. Before I hired caregivers to take care of my husband who has Alzheimer's, I was very apprehensive about the care he would get and was worried on how it will work. After they explained everything to me in details, I decided to try it. And after I tried it, I found the caregivers very experienced, helpful, considerate and very caring about my husband's health. Getting my mother-in-law to accept care has been a very stressful situation. We needed an in home care worker until we can find a board and care situation. I contacted Jay, who put me in touch with Derick. Derick came out to meet with my mother-in-law and the family and we were all impressed with the questions asked and the responses we were given. Derick got us a care worker the next day and we are currently waiting for him to get us information on possible board and care homes. I'll update my review as we go, but at this point I have been extremely pleased with the personal service and their handling of my mother in law’s poor attitude. Derick was able to lighten the mood and Jack the care giver was un-phased by her comments and was able to win her over. Sending you greetings and a thank you note for such excellent care while in my home for 5 months. Your caregivers were caring and professional. I had my physical and personal needs met. The first part of your service was after my knee replacement surgery. About 6 weeks later, I fractured my right arm and clipped my shoulder. Physical therapy at home was necessary to restore the arm to functional mobility and strength. Chat worked with me every day, three times a day to restore this mobility. She also did walking on the street to enable my knee to return to optimum functioning. Without her concern and careful doing of the exercise, I would not be able to run my home and have an independent life. I so appreciate everything Friendly Care did for me. Friendly Care was responsive to all my needs, and always available by phone and prompt in call backs. They came to the ER the day of my accident and provided home care that evening of that same day. Elizabeth helped me get through the first 4 weeks of rehabilitation at home. I highly recommend Friendly Care for seniors.